As people who tend to be relational, we look for opportunities to connect with others throughout our days. Social media, texting, emails, and even old-fashioned phone calls allow us to hear from each other at any moment of the day. This relational state forms the foundation for almost everything we do on a daily basis. Even our consumer mindset can be influenced by the opinions of others. Companies know this fact and often customize their marketing strategies to connect past, present, and future clients together, knowing that client satisfaction is often the best form of advertising. 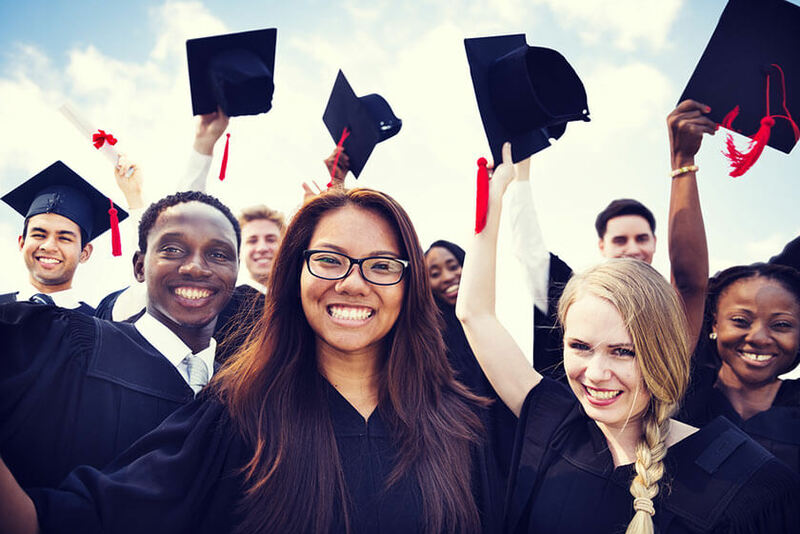 As a post secondary school, there are many ways that you can take advantage of this marketing strategy, and use your past students to increase enrollment in the months and years to come. Blogging: Blogging is one of the easiest ways to connect your past, present, and future students together, all while spreading the word about your fine school. By featuring frequent posts that highlight student success stories, field related happenings, and other school news, every student can stay up-to-date and in touch with what’s happening within the professional world around them. Try incorporating blog posts written by past graduates so your current students can gain insight into their professionally possibilities after graduation. Hall-of-Fame: Strategically featuring biographies of graduate success stories is another way to merge the past, present, and future classes together. Spread the word through landing pages, email marketing efforts, and social media outlets. Your students can see what others’ successes have looked like, and can get excited for what’s possible once their schooling is finished. Alumnae Bulletin Boards: Although these resources are often used as a classroom tool, they can also serve as a perfect outlet for networking current students with grads in the industry. These online community bulletin boards can also be used to promote professional organizations or societies relevant to your students’ educational fields of study. Helping your students network with potential future employers or coworkers is a great way to help boost those job placement percentages, too. Your Students are Your Clients: People tend to trust word of mouth advertising more than any other marketing strategy because it offers them a firsthand picture of what their experience will look like. Nothing speaks more highly of a company than having satisfied customers that keep coming back. Businesses can use their satisfied customers as a successful marketing tool by incorporating client testimonials into their online marketing strategies. These testimonials can be turned into valuable earned advertising that new clients can put their confidence in. As a post secondary school, your students (past, present and future) are your target clients. Make it a point to create a comprehensive web marketing plan that includes student testimonials that your school can celebrate. Your past students’ successes will speak loud and clear about what your future students can expect when trusting you with their education. Social Media Outlets: Utilizing the full capabilities of social media sites like LinkedIn, Facebook, and Twitter can provide your past and present students with an effortless way to stay connected. Following trending topics within your school’s fields of study can offer students a way to network with others in their field and keep up to date on hot new trends that are important to know. No matter what methods you choose to take advantage of, connecting your former graduates with current students can be a highly practical way to increase enrollment and build a sense of community within your school. These networking opportunities are the perfect way to gain some earned advertising for your school and attract prospective students looking to get a jump start on a career as quickly and as inexpensively as possible. If you're looking for help to take your vocational or trade school marketing to the next level, contact Neon Goldfish today for a free marketing anaylsis of your current efforts and some ideas to help your process in the future.